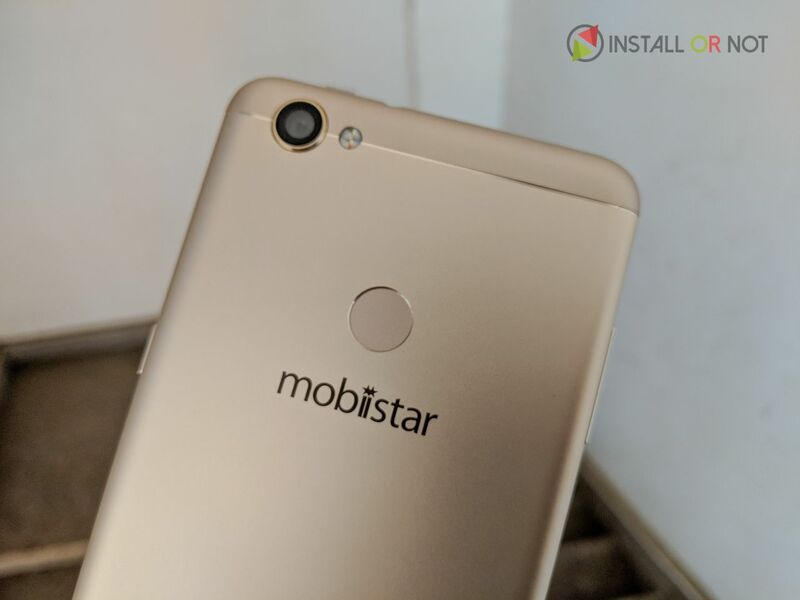 Mobiistar marked its debut in India last month with the launch of Mobiistar XQ Dual with Dual front camera setup at a competitive pricing of INR 7999 in India. For this price, the XQ Dual directly competes with the Honor 7A and Xiaomi Redmi 5. But it is a worthy competitor in that segment? Let’s find out. We have been experiencing this device first hand from past one month and here is our comprehensive Mobiistaar XQ Dual Review. On first holding, this device gives a solid feel, but the smooth back is slippery to hold. It is recommended to use the bundled clear case that comes in the box. Rest you talk about the design of this device, then Mobiistar XQ Dual definitely falls behind of its competition in the market. While most of the smartphone brands have shifted to a taller 18:9 display, this device feels a bit outdated with a traditional 5.5-inch FHD screen with a 16:9 aspect ratio. Everything else is pretty standard. The volume keys are placed on the left and the power button is placed on the right. Loudspeaker grill, MicroUSB port, microphone are crammed at the bottom, while the 3.5mm audio jack is placed on top. On the rear, there is a 13MP camera with dual-tone LED flash. The fingerprint sensor is present below it along with the Mobiistar branding. The phone has a metal back with antennas on the top and the bottom parts of the back. The Mobiistar XQ Dual is powered by an Octa-Core Qualcomm Snapdragon 430 64-bit processor which is a decent processor on paper. 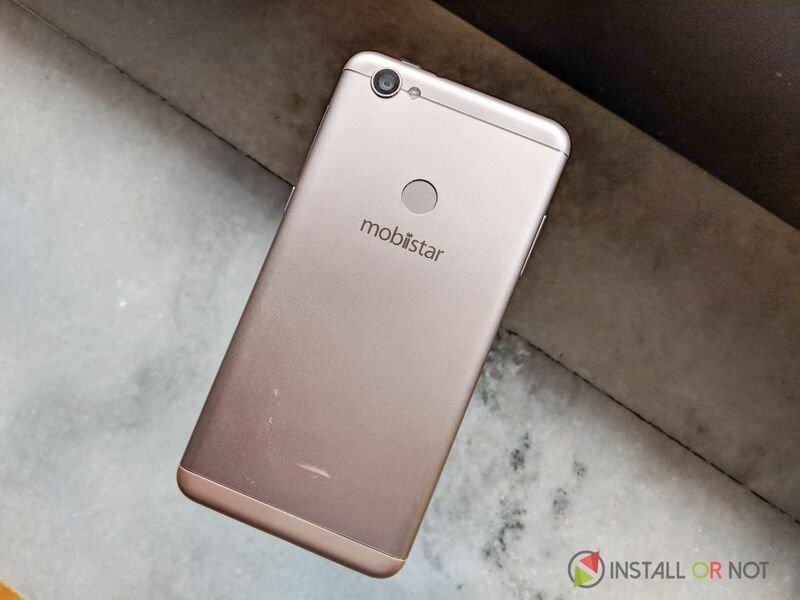 Mobiistar XQ Dual handles basic applications like Instagram, Chrome, Instagram and Facebook with ease. Even games like Mario Run and Jetpack Joyride run at a food fps. But unfortunately, the same can’t be said for high graphics intensive games like Modern Combat 5, Asphalt 8: Airborne and PUBG (PlayerUnknown’s Battlegrounds). While games are still playable, the performance is sluggish. Both games ran on low quality and stuttered constantly. The device is backed by a 3000mAH battery which was able to last for just about a day on a single charge. The Mobiistar XQ Dual comes with Android 7.1.2 with a custom skin on top of it. The user interface looks similar to what we had seen with other Chinese handset makers. The app drawer serves as the home screen, and notifications drawer can be scrolled down from the top. Bloatware is kept to a minimum and there are practically no third party apps installed on the device except Flipkart. There are some nifty add-ons with custom “unnamed” skin v3.0, which provides a Google Now feed alike quick news panel, which can be accessed by swiping right on the home screen. However, you can’t customize the news feed according to your preference and it would have been great if it could be enabled somehow in future updates. Overall the UI is clean and fast, there are no hiccups and the performance is smooth, the UI is polished with minimal customization possible. Mobiistar has tried to keep the software as clean as possible but in my testing phase the UI crashed a few times and I strongly feel this will be fixed in future updates. 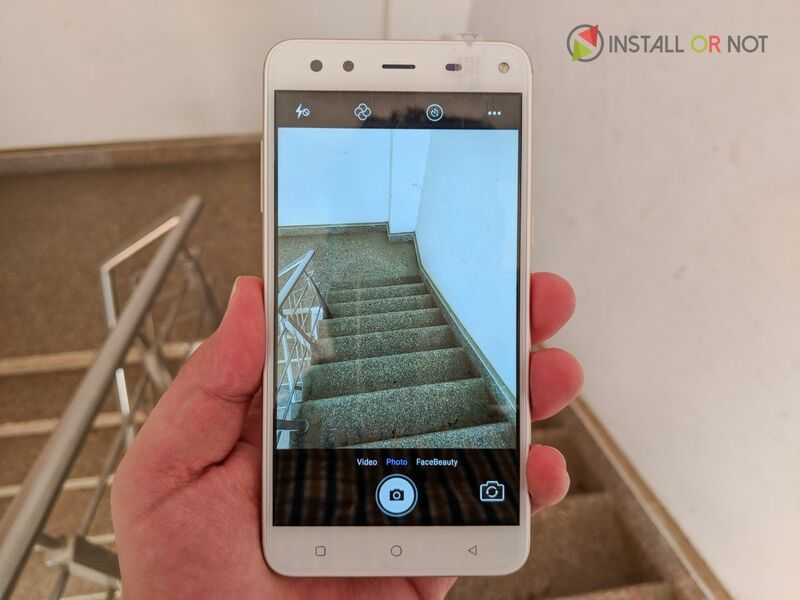 The Mobiistar XQ Dual comes with a dual front camera setup featuring a 13MP primary camera with f/2.0 aperture along with a secondary 8MP camera with 120-degree wide-angle lens and f/2.2 aperture for group selfie. On the rear, we have a single13MP camera with f/2.0 aperture. The camera on this device can capture some decent shots in good lighting conditions. But some images came out dull during cloudy or poor lighting conditions. The rear camera focuses fast and Macro shots turn out to be pretty well. The main focus of this device is to capture perfect selfies and for that Mobiistar has equipped a dual front camera module with a soft flash. The images captured with the front 13MP camera turn out to be good. The front camera performs better than the rear and captures lots of subject in background. Thanks to flash, images came out well even in low lighting conditions. However, the quality of the images deteriorates when switching to the 8MP camera (wide-angle). Images carry plenty of noise, under the same lighting situations. They also look a little stretched around the edges because of the wide-angle lens. 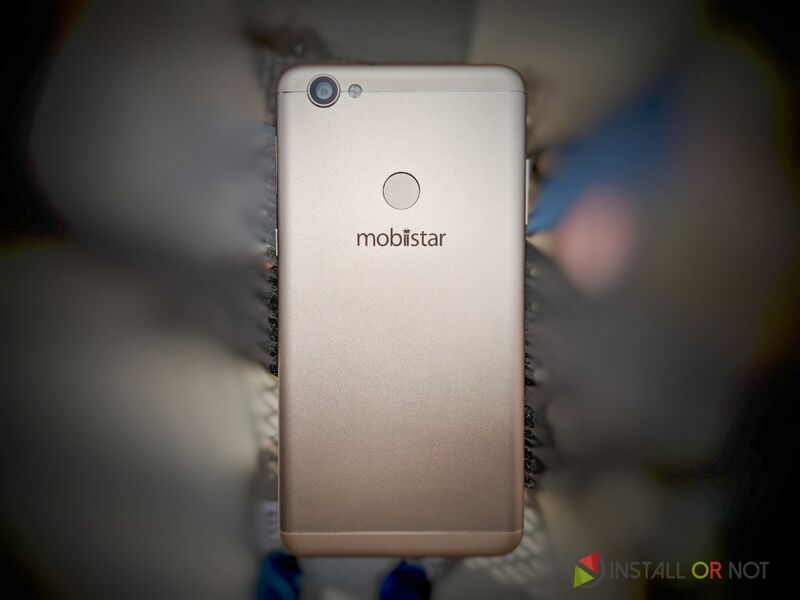 Mobiistar XQ dual is a debutant device from Vietnamese OEM and we can say it is a decent performing device with outdated design and software. In the world of tall 18:9 displays, this device tries to find its space with a 16:9 FHD display. But considering the price of INR 7999 for this device which is the first device from Mobiistar in is a decent device if you ignore the competition. 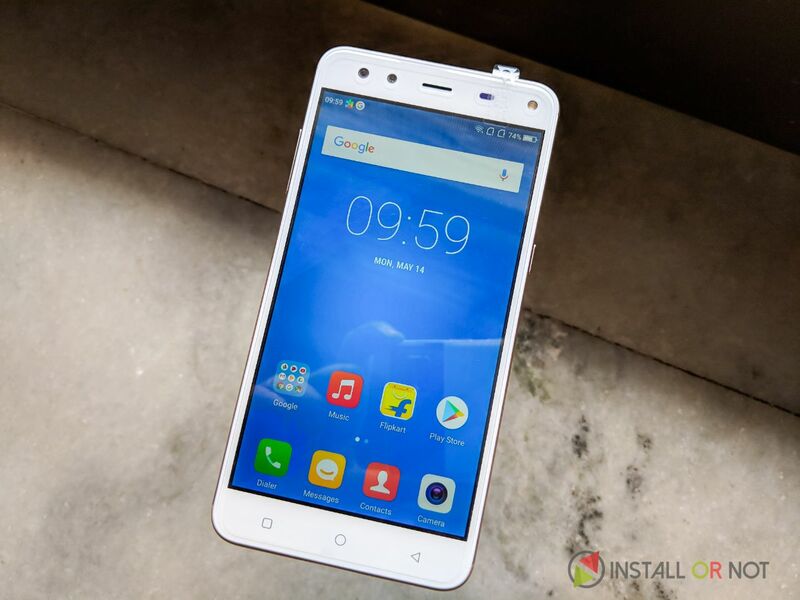 But when you look around, we have devices like Honor 7A, Redmi Note 5 and many more, the Mobiistar fails to make a mark or offer any key feature to stand out from the crowd. But being a new OEM in India, I hope they can evolve and encapsulate these new smartphone trends in their next device. But if you are someone who is not a fan of a taller 18:9 display and still wants to play old school and needs a decent performing device with a good build quality and average cameras then you can consider this device.